Two and a half years ago (or more depending on who you ask) Michell Plested and I began work on a book. We wanted it to be funny, filled with action, and readable by people of all ages. He pitched it to a publisher, and Ta Dah! 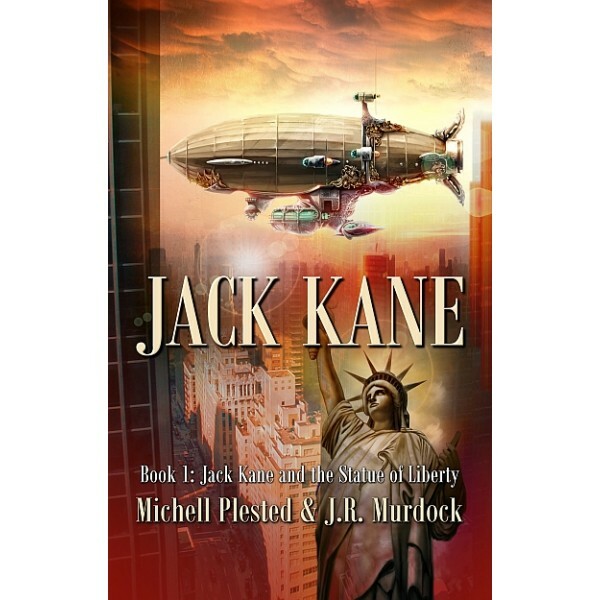 Jack Kane and the Statue of Liberty found a home. It’s been a long time and a lot of work to get here and it’s incredibly exciting. We’re so happy to share this book with everyone and hope that it finds its way into the hands of millions (not just because we’re greedy, but because we love to have people read our work and feed our egos as well as our bank accounts). If you’ve found a copy, I hope you enjoy the adventure as much as we did creating it for you to read. So if you’re one of the millions who will read Jack Kane, thank you. If you haven’t picked up a copy, here’s where you can find it. Bear in mind, that it’s currently ebook only. Once we sell a hundred copies, this WILL become a print book as well. So if you’re holding out for a print edition, convince your friends to buy the ebook. The sooner we hit 100, the sooner it’ll be in print. It’s only $2.99 and oh so worth it!